The UK government updated its travel advice for the Philippines today (Wednesday, July 25), including parts of Cebu province with Mindanao and the Sulu archipelago as places to avoid. The Foreign and Commonwealth Office (FCO) said all “non-essential” travel should be avoided due to the ongoing terror threat. Non-essential travel to Mindanao (excluding Camiguin, Dinagat and Siargao Islands) and to southern Cebu (up to and including the municipalities of Dalaguete and Badian) should be avoided, it said. The warning also said that terror attacks were “very likely” throughout the Philippines, including in Manila. “The FCO advise against all travel to western and central Mindanao and the Sulu archipelago because of terrorist activity and clashes between the military and insurgent groups,” it said. “Islamist militants continue have the capacity and intend to carry out attacks anywhere in the Philippines, including places frequented by people such as malls, airports, public transport and places of worship. “You should remain vigilant at all times and report anything suspicious to the local authorities. “Threats of kidnapping also continue as militants plan abduction operations against western nationals. Mindanao will remain under martial law until the end of the year as Islamic State-affiliated terrorists continue to hold out in Marawi. The fighting is now in its third month, and has cost more than 500 lives. ALSO READ: Police to terrorists: "Take care of hostages, and we'll take care of your father"
It is estimated that up to half a million people have been displaced, and some 300 Christian residents are being held as human shields in the city’s main mosque. The imposition of martial law was also cited by the travel alert. It advised its citizens to monitor media reports and closely follow the instructions of authorities. “Expect random checkpoints, security patrols and a more visible routine security presence,” the advisory said, adding that travellers should always carry identification. On a more general note, the advisory warned about street crime, and urged visitors to be their best behaviour, saying: “Prison sentences in the Philippines are severe. The judicial system can result in long-term detention until a court hearing takes place. The advisory also contained warnings about typhoons, flooding, landslides and Zika virus. 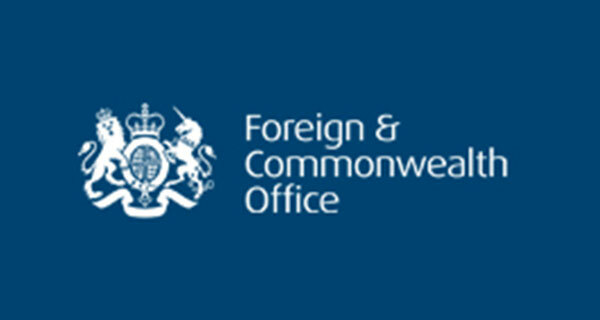 Read the full text on the FCO website here. IM A FOREIGNER IS DAVAO CITY, IT IS VERY SAFE HERE(YOU CAN ASK ANYONE IF YOU DONT BELIEVE ME), PLS DONT GENERALIZE !